Dussie always knew puberty was going to be confusing, but she never realized it was going to be catastrophic - until she wakes up one morning to find that her hair has turned into a writhing mass of slithering snakes and discovers the real truth about her family: her mother is a Gorgon--right out of Greek mythology--and she was named after her mother's younger sister, Medusa. 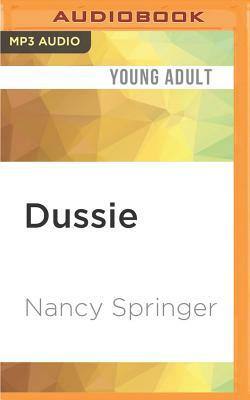 Her mother had hoped that Dussie's being half-mortal would protect her from inheriting the family curse. Still reeling from this revelation, Dussie tries to keep her snakes under wraps. But after a boy she likes in school almost exposes her, she discovers another family secret--just one look from Dussie's snakes has the power to send someone right into his own personal Stone Age. Talk about "if looks could kill"! Dussie better figure out how to control her snakes and her rage, and find a way to get her life back--before anything else disastrous happens.